I think many of us have reread books we loved as children, whether they’re actual children’s books, middle grade or teen books, or maybe even classics. There’s a curiosity there - maybe you don’t remember certain details of the story, or perhaps you simply remember loving it as a child or teen and now as an adult you want to remember what it was you loved so much. Last year I reread Anne of Green Gables for the first time since I was in my early teens. I loved the book then, I still love the movies, and I was certain I would love reading Anne as an adult, and I did. In fact, I think I loved it even more as an adult. But there are other books I’ve been wanting to reread that I’m a bit wary of trying. For whatever reason, they meant a lot to me when I originally read them, but what if I hate them now? 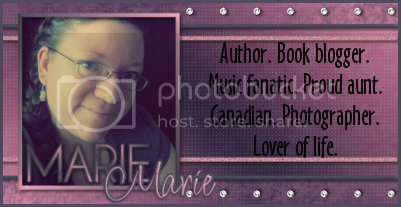 Blogging has made me a more critical reader, as has being a writer and editor. What if the things that drew me to a book when I was fifteen repel me now? What if the characters are silly or the plot is lacking and I end up wondering what on earth 15-year-old me had been thinking? 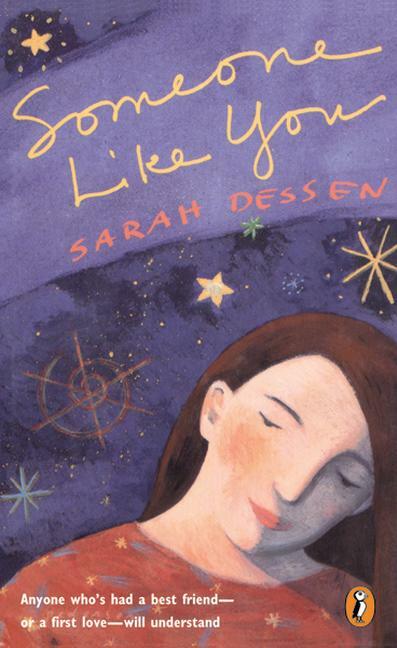 As part of the Spring of Sarah Dessen Reading Challenge (have you signed up yet, by the way? It runs until June! ), I’m reading (or rereading in some cases) all of Sarah’s books, and I’m doing it in the order of publication. I’ve already read That Summer, and now it’s time to read Someone Like You. When I was 15 or 16, I read Someone Like You and it spoke to me like very few books had before. The main character was me - her thoughts, her actions, everything - her best friend was my best friend and her boyfriend was my boyfriend. It was uncanny. It was one of those books that you’re sure somehow the author wrote just for you, and at a time when you needed it desperately. To this day, when someone asks me what my favourite books are, Someone Like You is on my short list. But I’m scared to reread it. I read it twice, maybe even three times when I was a teen, and I even had my best friend read it because it was ‘our’ story. But it’s been about thirteen years since I read it, and I worry how I’ll feel about it now - this story that I sort of put on a pedestal for the last decade plus. I keep looking at it sitting on my shelf (my original 1998 copy, by the way) and I can’t bring myself to pick it up. I need to get moving if I’m going to read all of Sarah’s books before June, but I can’t seem to make myself do it. Has this ever happened to you? Have you reread a book you once loved and ended up hating it or feeling indifferent toward it? Hi Marie! I've been following you on Twitter but this is my first comment. When I was in college (I was an English education major) I took a YA fiction class. We had to do a project where we read 5-10 books with a common theme and write an annotated bibliography. I chose "survival" because I had always loved books like Island of the Blue Dolphins and Swiss Family Robinson. I also discovered some new books with this theme and ended up reading more like 15 or so. Anyhoo: I was really excited to reread SFR, because it had been my favorite book in fourth grade and I had read it something like seven or eight times over the course of that school year. Unfortunately, reading it again as an adult, it did not stand the test of time. The ultimate adventure of surviving as a family on an island was intact, but I noticed stuff I never saw as a kid, like how preachy it was (about religion and other topics), how antiquated the gender roles were, how colonialist and Eurocentric the family behaved, and how every time they discovered a marvel of nature, such as a rare animal, their first instinct was to kill it and display it! I was so disappointed and I haven't read it since. I love Anne of Green Gables. That's one book I will always love. A Wrinkle in Time is one I read when I was a teen and occasionally I go back and read it and enjoy. Usually I don't reread books so I don't have the fear of if I reread it I won't like it anymore. I have this problem with a lot of movies though. So many I used to love I watch now and wonder why I liked the cheesyness so much. I recently reread Little Women, and I was amazed to find how different my perception had changed as an adult. As a young girl, I identified with the girls, but as an adult, I identified much more with the mom. Rereads scare me, but I don't think I've had any bad experiences. I read A Wrinkle in Time this past year and was so afraid it would spoil my memories, but it just reminded me why I loved it so much as a child. I started reading the Chronicles of Naria when one of the movies came out, but for some reason I stopped. I was enjoying the stories all over again, but I guess I got distracted. I need to get that series so I can finish it.... again. I have always been a big fan of Anne of Green Gables, both the books & movies I adore <3 I read a number of Penguin classics when I was in my teens & recently received new & updated copies which I re-read & still loved. I don't have a lot of time to re-read books these days but I still have a number of favourites.